Preschool South Bend: Your Child's First Day of Preschool! Your child’s first day of preschool is a momentous occasion that only happens once. Celebrate this special day, and make it a great one to remember. 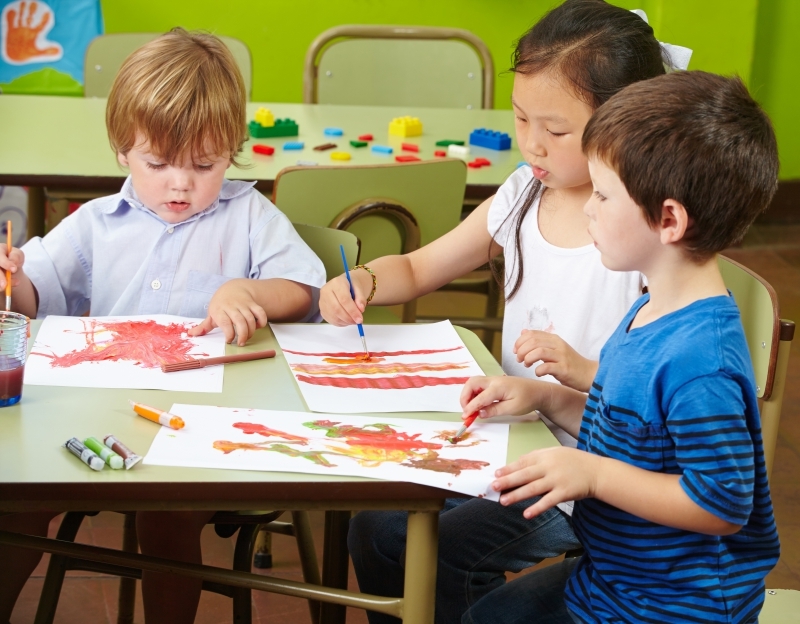 Kids are naturally nervous when starting at preschool for the first time, but if parents keep the mood fun they will go into the day with confidence and eagerness. Cooking your child’s favorite breakfast can be a great way to start the day. If pancakes are a special treat, a large stack with butter and maple syrup can make the sleepiest kid perk up. If they love eggs and bacon, making a big breakfast that will keep them energized until lunch is a great idea. Start that special day off right with a special breakfast. You will want to commemorate this day of school beginnings, and your child will love looking back over their “first day” photos. A photo makes the day seem more special, and is a great ritual to start for their school career. For the first morning to go smoothly, you need to plan ahead. Making sure you have breakfast ideas ready, lunches made, and clothing, shoes, and backpacks laid out. This will make the morning time much easier, and eliminate stress and meltdowns right before school starts. Getting plenty of sleep will ensure that your little one has the energy to tackle a new environment. Starting the week before the first day, make sure your child is going to bed at a reasonable time and waking up around the time that they will need to be getting up for preschool. Sleep is so important for your child’s growth, learning, and mood, and is essential for a great preschool experience. Using these tips will make for an easier first day of preschool, and start your child’s educational career off right! If you are looking for a great preschool in South Bend, Elkhart, Goshen, or Chesterton, Growing Kids Learning Centers is here for you! We have the best programs to nurture your child and get them ready for elementary school!